Blaklez is his grizzle at the moment. For the past couple of months he’s been dropping hints on social media about the details of the release of his second album, and now fans enough to start getting excited. Late this morning ‘Steve Biko with a Mic’ took to Twitter to announce the albums completion, then proceeded post the tracklist. 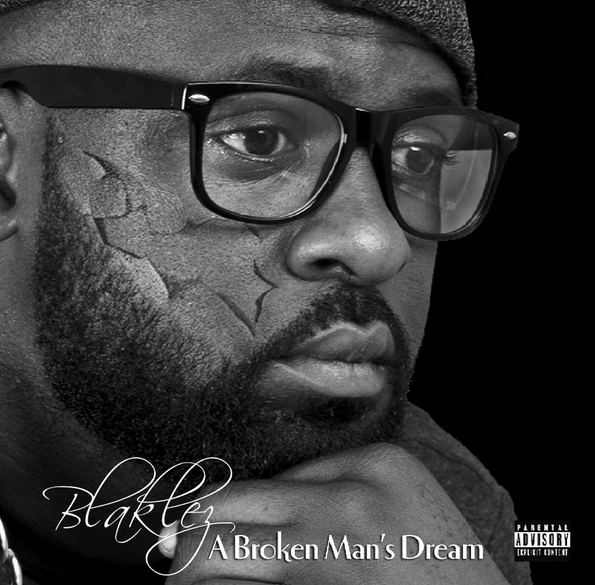 The album is titled A Broken Man’s Dream and as Blakle himself put it: “The artwork is self-explanatory. The old me is peeling of and a new skin is growing underneath it.” It is dedicated to his latye mother and has already spewed three single, namely ‘Casino’, ‘Freedom or Fame’ and most recently ‘Wana Fela’.